Using the Delock HDMI switch you can use up to three HDMI devices on one HDMI monitor, TV or beamer etc. By using the ?select? button you can switch between the three HDMI devices. 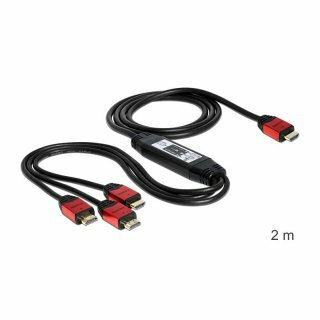 This application does not require any HDMI cable, since the switch already provides the HDMI male connector. Code*: What results in 2 plus 6?